Hastelloy is an alloy belonging to the group of super alloys based on nickel, molybdenum and chromium. Tungsten is generally added to Hastelloy to make it resistant to corrosion in severe environments. Nickel and molybdenum is high in amounts in Hastelloy, which make it resistant from pitting and crevice corrosion in reducing conditions. The chromium content in Hastelloy makes it resistant to oxidizing media. Low carbon in Hastelloy reduces carbide precipitation during welding and also retains the corrosion resistance properties. Inertgranular corrosion is also resisted by Hastelloy due to the nickel present in the alloy. 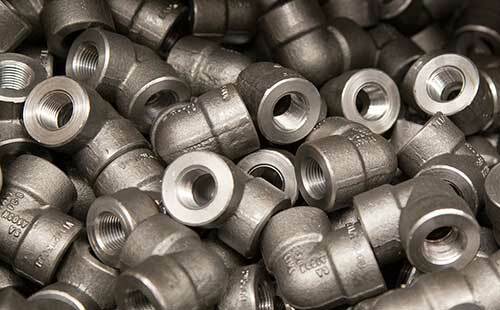 Versatility of Hastelloy is superior in terms of corrosion resistance, as it can resist a wide variety or corrosive media. Chemical environments that include ferric/ cupric chlorides, acetic anhydrides, organic and inorganic media, seawater, acetic acids, and more. Other properties of Hastelloy include resistance to localized corrosion such as stress-corrosion cracking.